This summer I bougt the New Super Mario brothers for my nintendo DS and my kids have been playing it every day. It has been so fun playing it with them. So to finish off the summer I decided to draw Milo (my son) this pictur of little mario holding the new Super Mushroom, spoof. 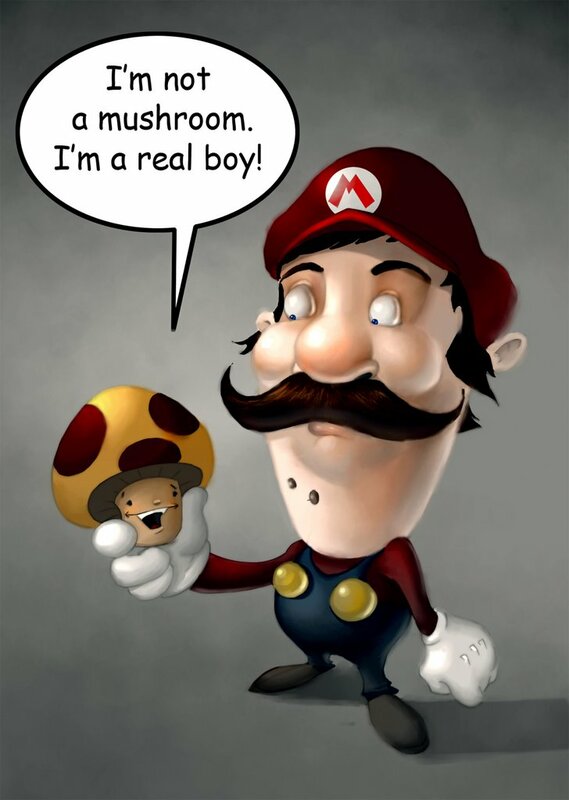 Mario and his shrooms. . . I want your next one to be Luigi and his hypodermic needle. . .
mario has been hittin the pipes! I've got to love all video game-related art. They're quite creative.